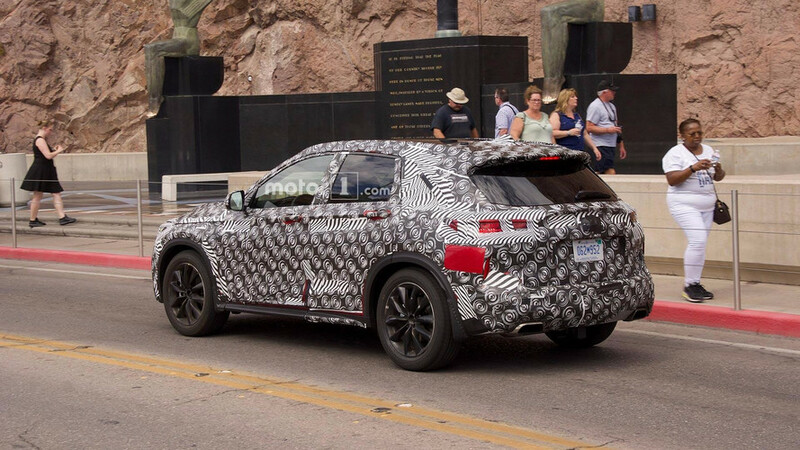 Motor1 reader Marcin Kozak managed to snap these photos of a camouflaged Infiniti QX50 at the Hoover Dam, and he let us share them with the rest of the community. Revised camouflage provides a slightly better look at the front but adds more concealment to the rear in comparison to previous test mules. 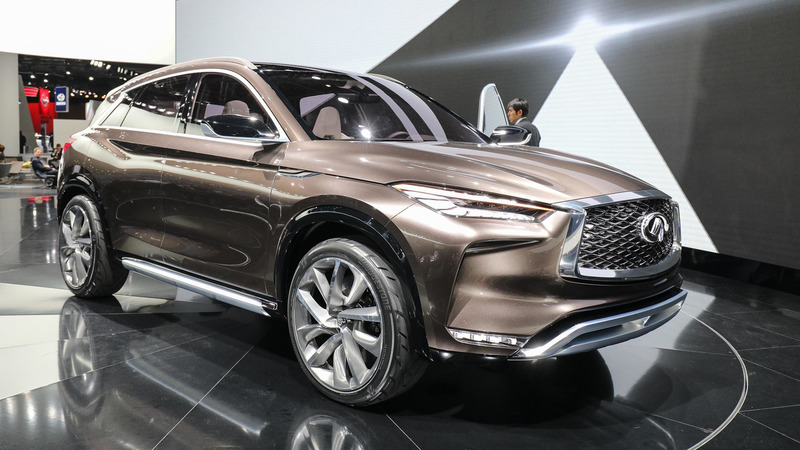 Up front, the QX50 bears a resemblance to the QX50 Concept from last year’s Detroit Auto Show. A broad lower fascia and big corner intakes are evident through the camouflage. Skinny LED headlights also connect to the wide grille. The seams on the concealment suggest a clamshell hood, and the design leads to a prominent crease that runs down the side of the crossover. 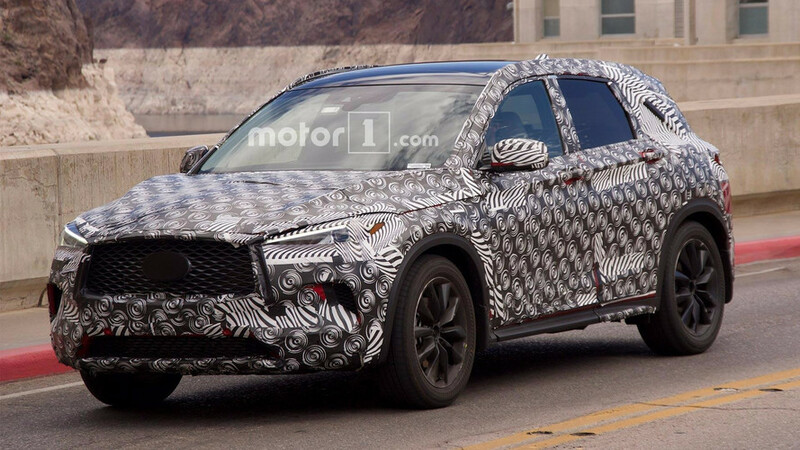 Earlier spy photos showed the sharp-edged design where the side glass attaches to the rear pillar, but Infiniti concealed the part on this model. The engineers also put more camouflage over the angular taillights. The company can’t hide the heavily creased lines back there, though. Previous images offer a look inside the new QX50 (see gallery above), and it appears to be a nice place to spend time with lots of leather and metal accents. The infotainment screen nestled into the top of the center stack between two vents. On the console, there’s a rotary dial and buttons for controlling the system. Infiniti intends to offer the latest version of the ProPilot semi-autonomous driving technology that can navigate on highways. 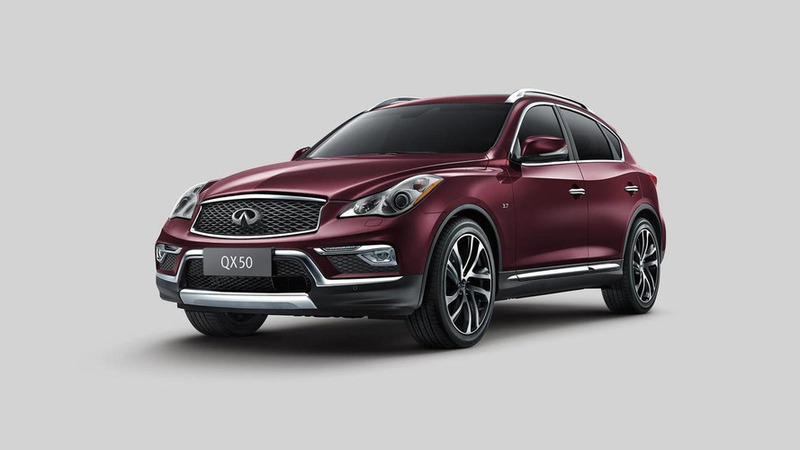 The production QX50 would reportedly be available with Infiniti’s variable-compression 2.0-liter VC-Turbo that can alter its piston stroke, depending on the need to maximize power or efficiency. The mill produces 268 horsepower (200 kilowatts) and 288 pound-feet of torque (390 Newton-meters). 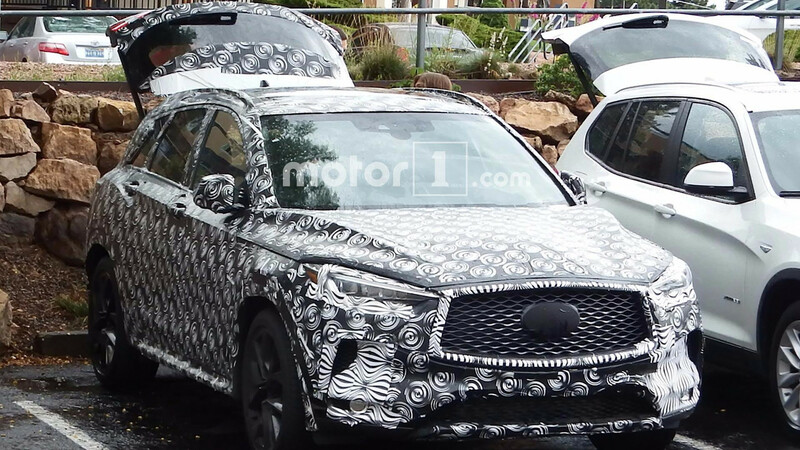 The new QX50 likely goes on sale in early 2018. After the concept’s debut in Detroit last year, the production version could be there this year.